Be sure to check the TE Current Specials page for May Release Bundle options. The new Father’s Day Digi Image and inspiration sheet is available FREE with purchase of any Bundle! 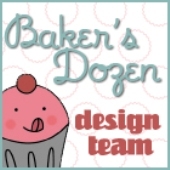 Did you win one of the Mystery Baker’s Dozen Blog Giveaways? 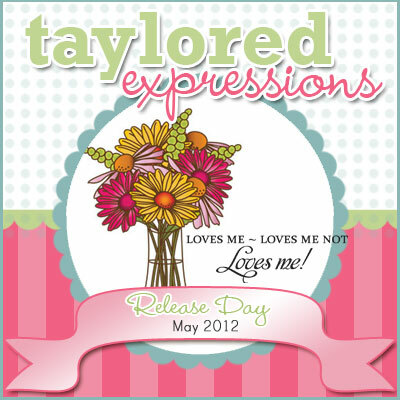 Find the list of winners on Taylor’s Blog. Have you been following along with all the fabulous sneak peeks this week? I didn’t get a chance to play along with the Baker’s Dozen this week, but I’ve blown away by all of their samples. There is so much cute stuff in this May Release! I can hardly wait to dig into all of of. 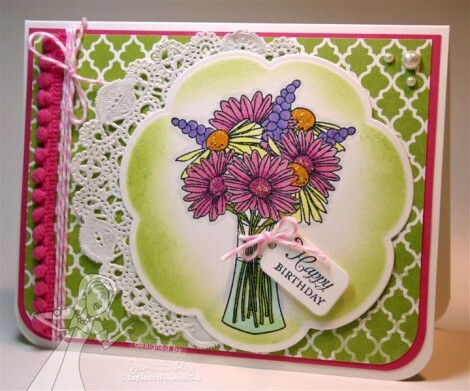 Today I have a fairly quick card that I created featuring the Petite stamp set Daisy Bouquet. It’s such a pretty little set and I just love the way the little sentiments work with the new Mini Tag Taylored Die set. I stamped the bouquet image on shimmery white cardstock (yes, yes, I am on a kick with this stuff!) and colored it with Copics. I added some diamond stickles to the flower centers which really sparkles nicely IRL. I die cut it with a Spellbinders blossom die and sponged Lucky Limeade ink while it was still in the die. I layered that onto a paper doily and attached that adorable mini tag. The patterned paper is from the Echo park Victoria Gardens 6×6 pad and cardstock is Melon Mambo. 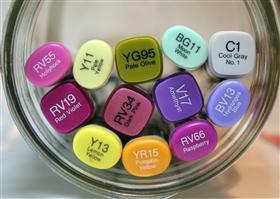 Here are the Copics I used. 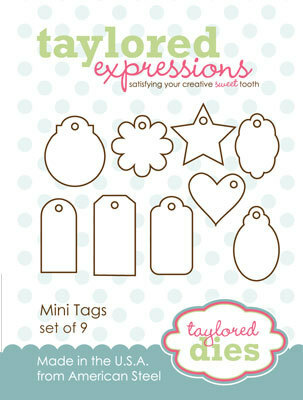 And here’s that Mini Tag Die set – so cute, HUH??? If you’d like a little more inspiration before you go shopping or if you’ve already placed your order and just want to see some more incredible eye candy, let’s go see what the Baker’s Dozen has cooked up. This is lovely! Such pretty and vibrant colors! This is so pretty! I love the layout and all the spongy details. Beautiful! 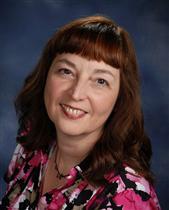 SO beautiful, Jami! Love the bouquet of flowers and the bit of sparkle! Oh my Jami!!! This is just gorgeous!!!! Have you been following along with all the fabulous sneak peeks this week? I didn’t get a chance to play along with the Baker’s Dozen this week, but I’ve blown away by all of their samples. There is so much cute stuff in this May Release! Nike NFL Jerseys Wholesale I can hardly wait to dig into all of of. Today I have a fairly quick card that I created featuring the Petite stamp set Daisy Bouquet. It’s such a pretty little set and I just love the way the little sentiments work with the new Mini Tag Taylored Die set. Jordan 7 Olympic 2012is a pair of particularly special shoes, it’s very beautiful and mature. Meanwhile, and almost all the AJ series, this kind of shoes as materials OG Air Jordan 7 was very fastidious, Cheap Jordan, fine workmanship, this also is satisfactory. Have you been following along with all the fabulous sneak peeks this week? I didn’t get a chance to play along with the Baker’s Dozen this week, but I’ve blown away by all of their samples.